A little while ago I headed along with my friend Robert (Snoopbob) to check out the Retro Games Exhibition in the city of Saitama, Japan. 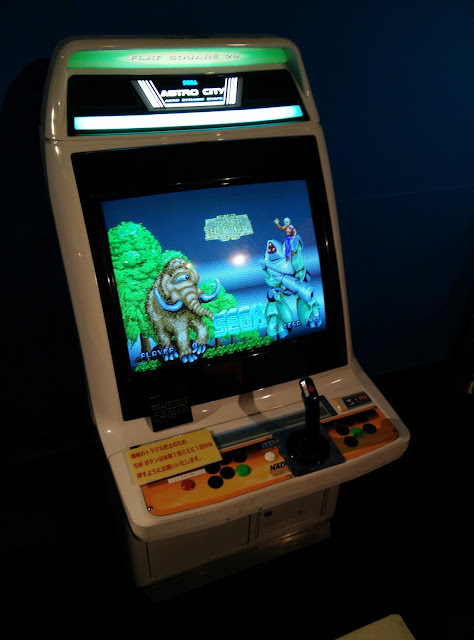 It has now just finished after running for the past several months and featured displays on games for a range of Japanese home console and arcade cabinets from the 1980s. Knowing how busy these events can get in the weekend, we chose a weekday to go and it turns out we practically had the place to ourselves, playing classic games like Super Mario Brothers, Punch Out, Gauntlet, Xevious, Out Run and Space Harrier. 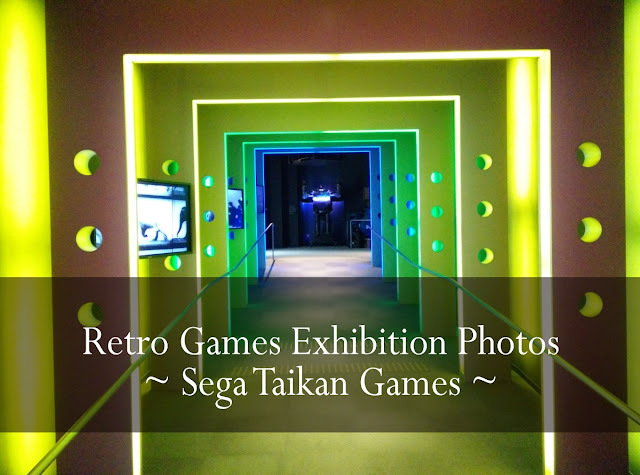 This post has a selection of photos showing how the Sega display room was set up. 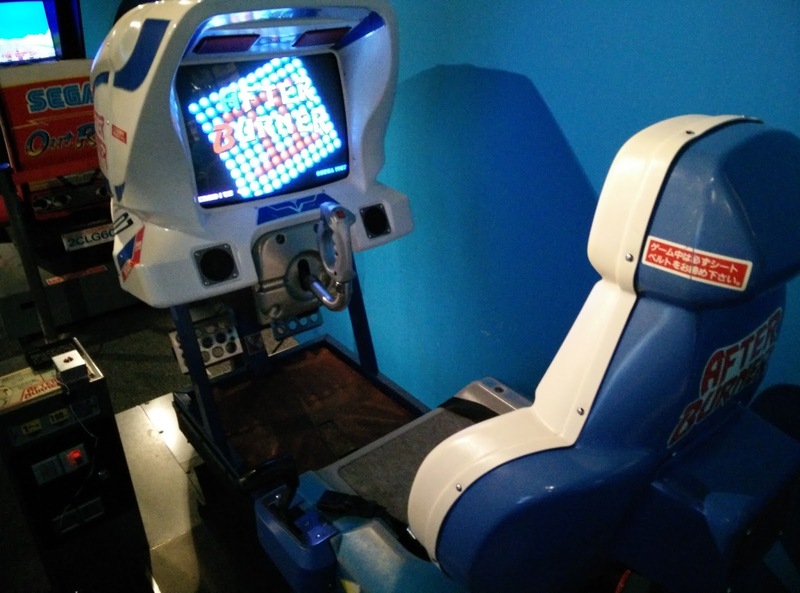 It featured a number of their Taikan games (those that introduced the ride-on style of cabinets) which of course are synonymous with Yu Suzuki. 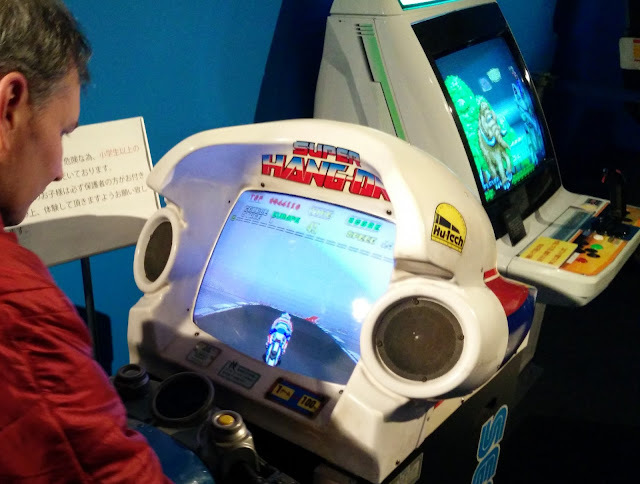 An attraction of this exhibition was that, in addition to being able to view items such as signed posters and handwritten documentation produced when designing the games, the displays were hands-on and visitors were encouraged to try out the games which were set up for free play on the original hardware. 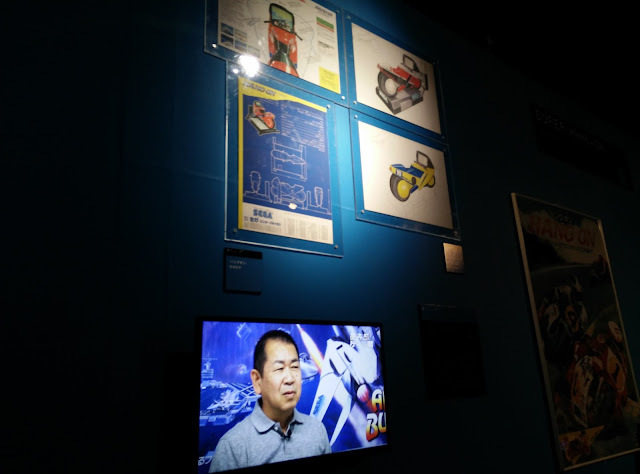 The exhibition was well put together and I was glad to see that Yu Suzuki's arcade games, and even a video interview with him, were proudly on display. Photo credit: thank you to Robert for the photos. 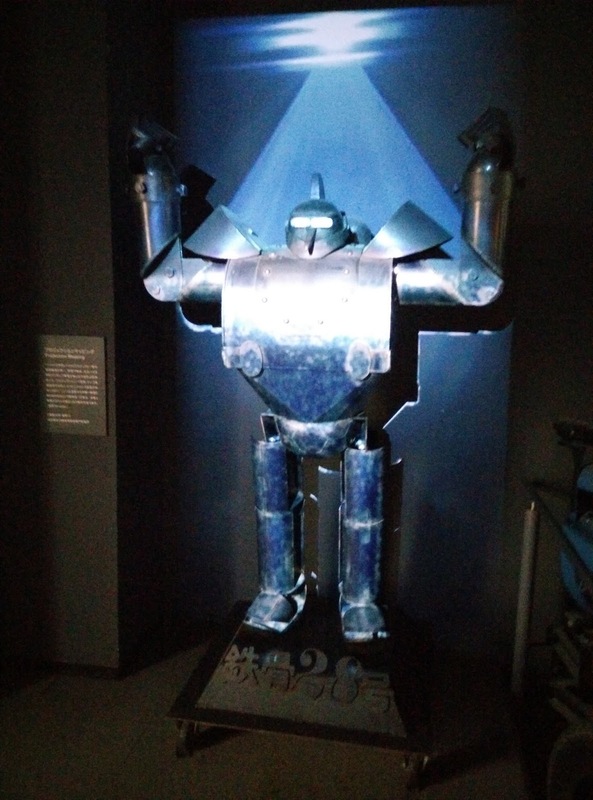 A robot model (non-animated) greets visitors at the end of the glowing entrance tunnel. A video interview with Yu Suzuki plays below designs and documents for Hang On. One of the decoration designs on display for the full Hang On cabinet. Hang On promotional poster: "Can you keep up with these racing techniques?" 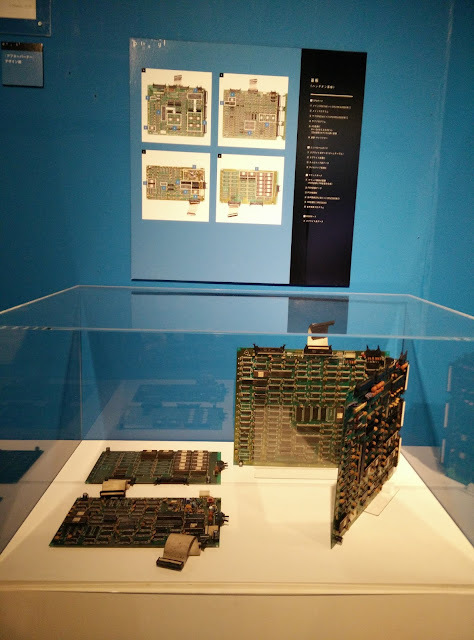 The Super Hang On cabinet was the cut-down version. The Out Run cabinet with hydraulics. The sign notes that play time is restricted during holidays and weekends. Hydraulic After Burner II cabinet. A dazzling array of arcade contributions from Yu Suzuki on this poster showcasing Sega's "Simulator Machine Series".